✔ Designed and manufactured to deliver high performance at a surprisingly low price. ✔ High-tech rubber compound provides exceptional hook-upon hardpack, while the aggressive tread pattern pulls strongly through soft loama winning combination! ✔ Low-profile carcass reduces bounce and enhances high speed control. ✔ Exclusive mud-shedding Slik-Kote finish. ✔ Unique inner and outer heavy-duty wheel lip reinforcement. ✔ 12x7 and 14x7 sizes. ✔ Matching wheel cap included. 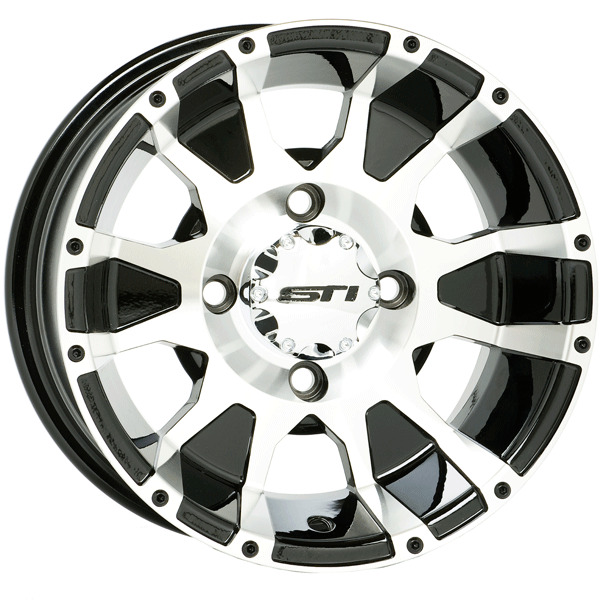 ✔ The new standard in quality and attentionto detail for one-piece aluminum sport ATVwheels. ✔ Both the 4/110 and 4/144 bolt patterns utilize tapered lug holes, creating straight and sure mounting when used with tapered OEM lug nuts. 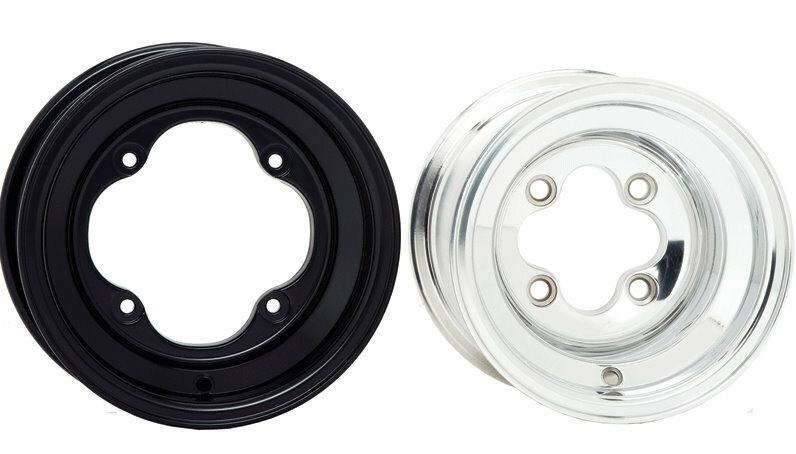 ✔ Two finish options: polished and satin black, covered with clear coat. ✔ Available in 9x8, 10x5 and 10x8 sizes with a variety of bolt patterns and offsets, for application on all popular sport ATV models. ✔ Durable matte black finishwith bright machinedaccents protected withmatte clear coat. ✔ Unique inner and outerheavy-duty wheel lipreinforcement. 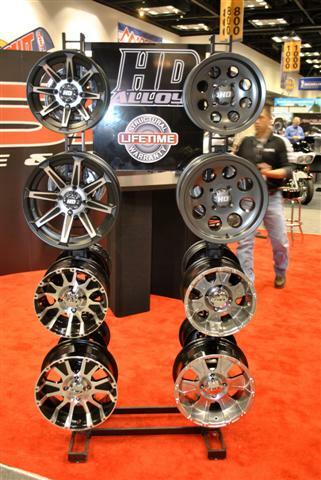 ✔ 12x7, 14x7 and 15x7 sizes. 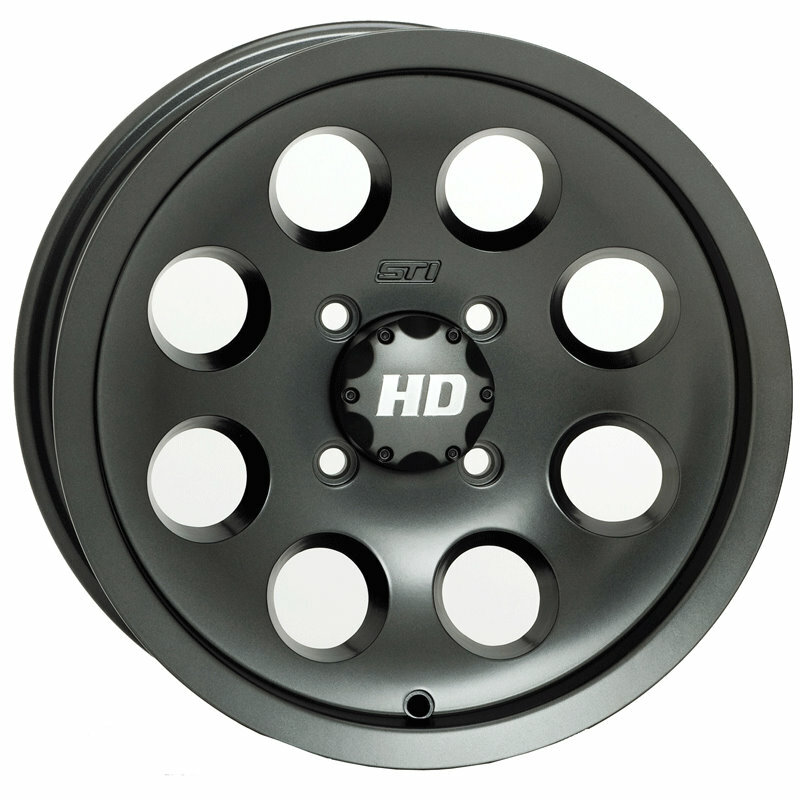 ✔ Industry-first 12x7 OEMoffset Polaris RZR wheelapplication. ✔ Machined with black accents,finished with atough clear coat. ✔ Gun metal gray finish, topped with a tough clear coat. ✔ Highest performance for amost reasonable price. 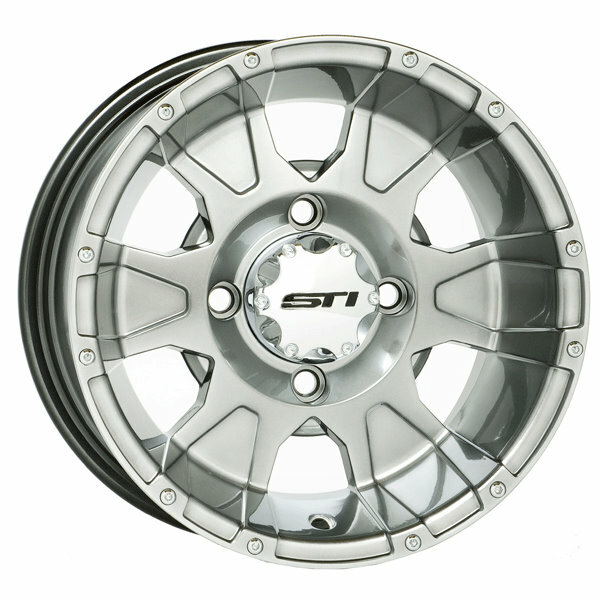 Shop and compare this is the most attractive spun aluminum wheel on the market today. ✔ Heavy-duty .170 wall construction for maximum strength and minimum rotating and unsprung mass. 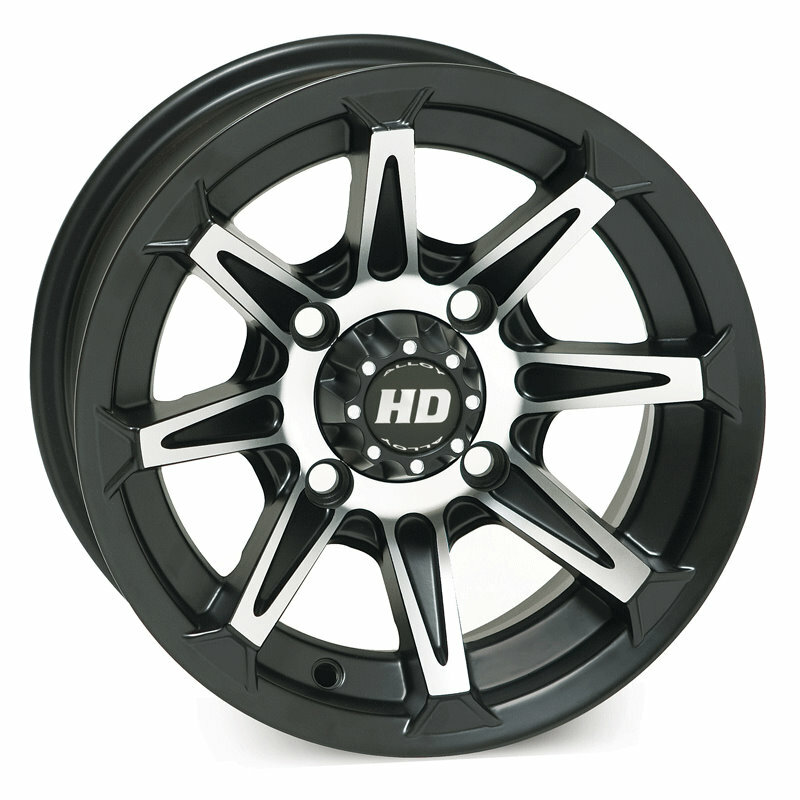 ✔ Two finish options: polished and satin black powdercoat. ✔ Available in 8x8.5, 9x8, 10x5, 10x8 and 10x10 sizes with a variety of bolt patterns and offsets, for application on all popular sport ATV models. ✔ Bolt pattern is stamped inside for easy identification. ✔ Delivering crossover performance at a value price! ✔ The tire for all seasons. 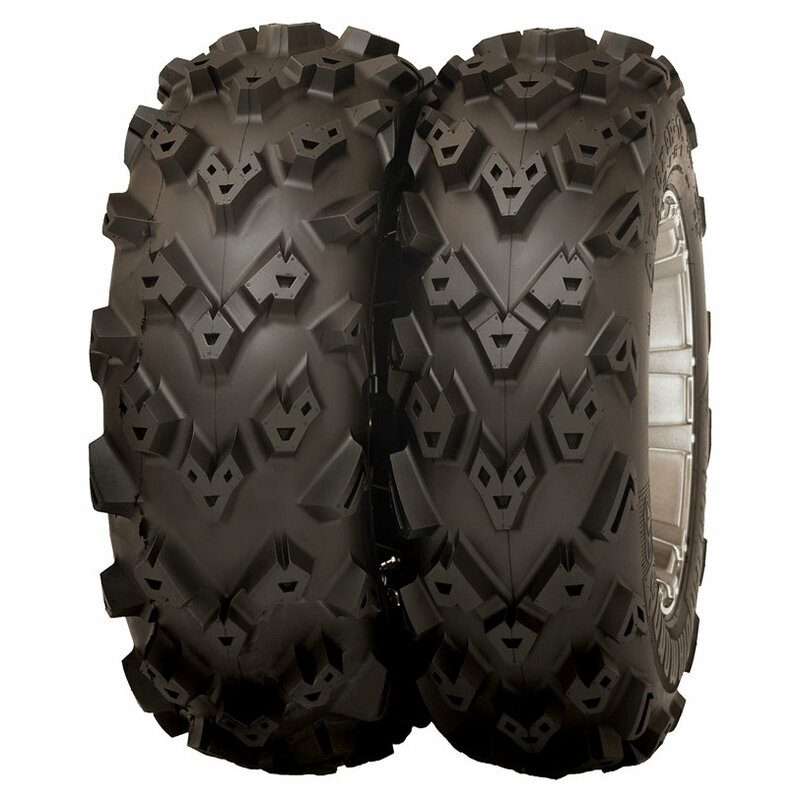 ✔ Innovative “V” tread pattern bridges the gap between soft mud/snow/sand andhardpack surface performance. ✔ Unique over-center tread elements provide a smooth, controlled ride on hardpack,while offering excellent clean-out in soft conditions. 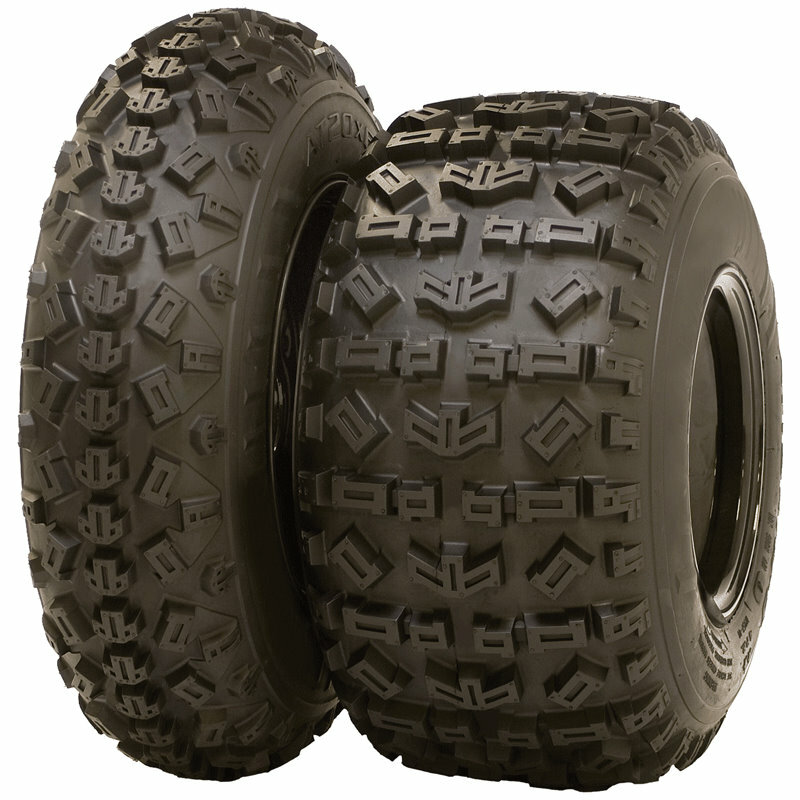 ✔ Specifically developed 6-ply radial carcass delivers the stability needed for UTVapplications, while retaining the plush ride characteristics favored by ATV riders. ✔ Extended-wear tread compound retains biting edges longer and greatly increases tire life. ✔ Two models now available (withmore sizes coming soon). ATR: 3/4-in. tread depth; XTR: 11/8-in.